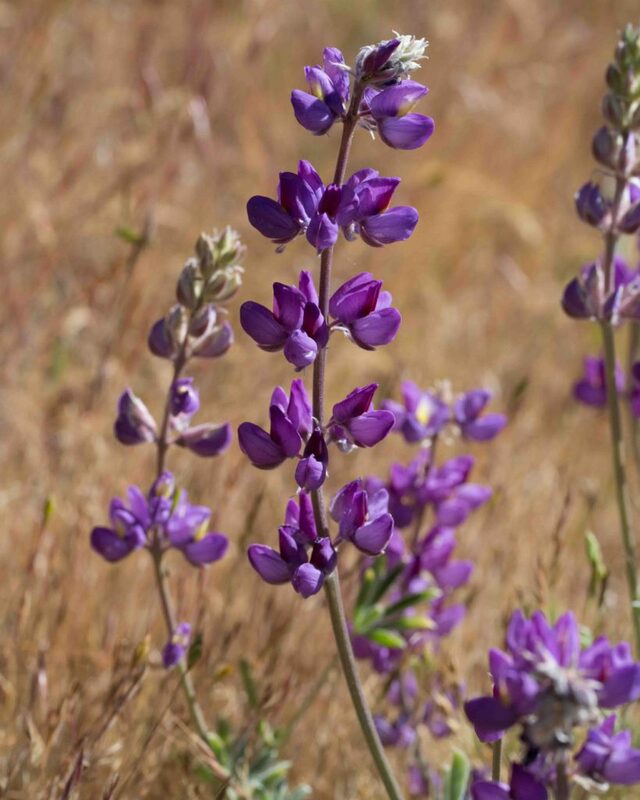 Most lupines are easily recognized as such with their distinct clusters of flowers in spikes, sometimes short, sometimes quite tall. Leaves are typically palmately compound with leaflets ranging from the very narrow to the comparatively broad. 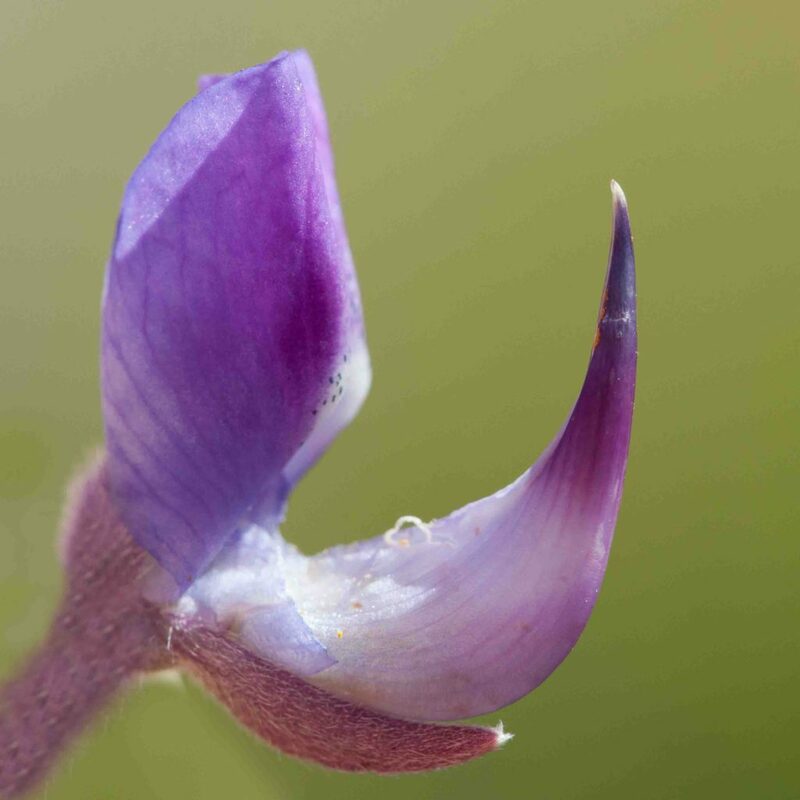 If in doubt, it is useful to note whether the flowers are in whorls around the stem or not. 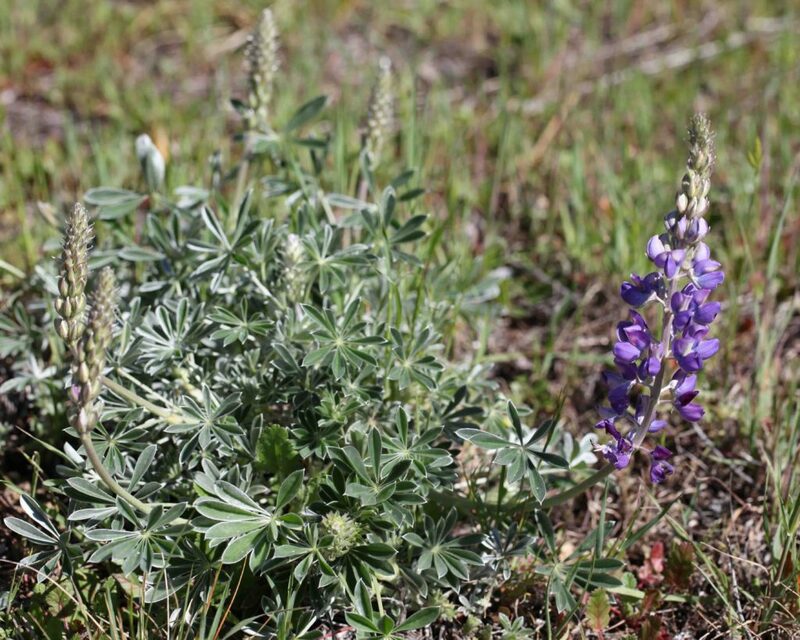 It can also be critical (for example in distinguishing Silver Bush Lupine (Lupinus albifrons var. 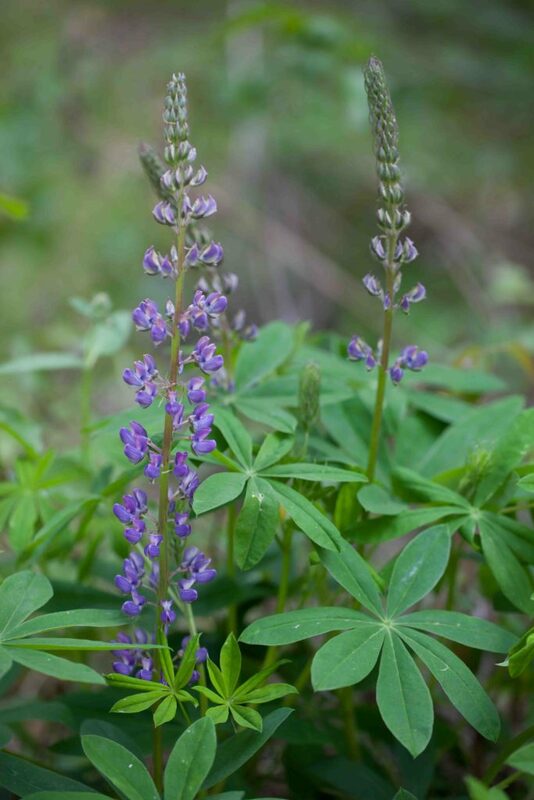 albifrons) from Summer Lupine (Lupinus formosus var. formosus)) to look at the keel to see the pattern of hairs. Some are ciliate on both the top and bottom of the keel; some have hairs only near the claw (base), others only near the tip. Photographs of many of these appear below. A rare plant. 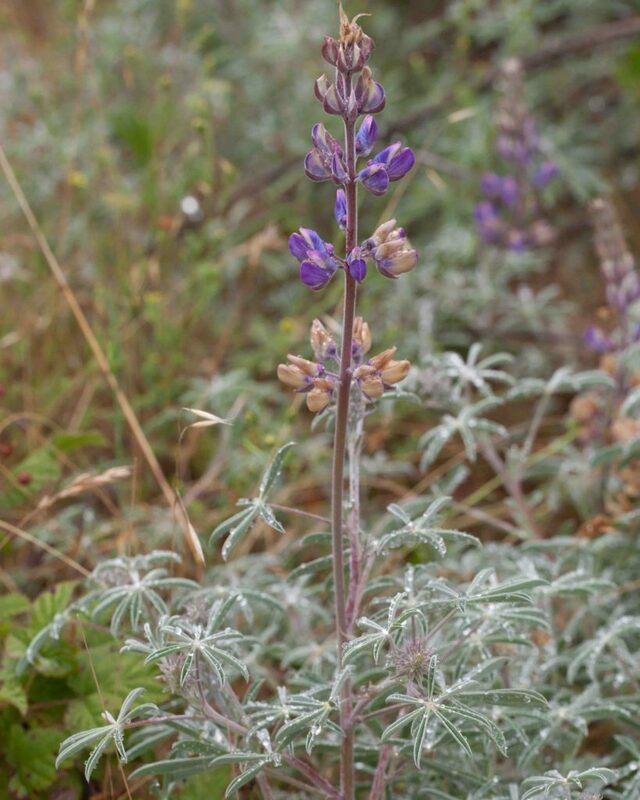 Similar in some respects to Silver Bush Lupine (var. 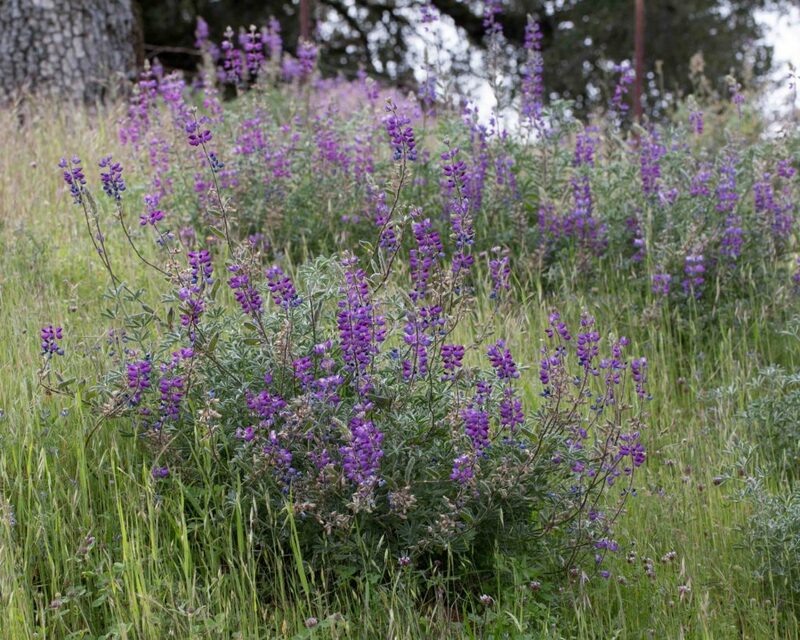 albifrons) but it has a lower, more compact growth habit and its flowers are a richer purple. 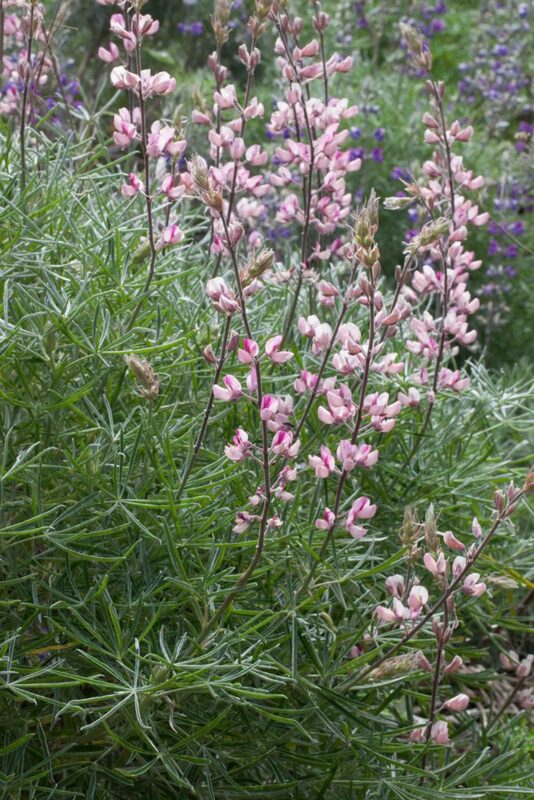 Leaflets are 1–3 cm long, silvery gray-green and woolly to shaggy-hairy. Keels are ciliate on the upper margin from the middle to the tip. 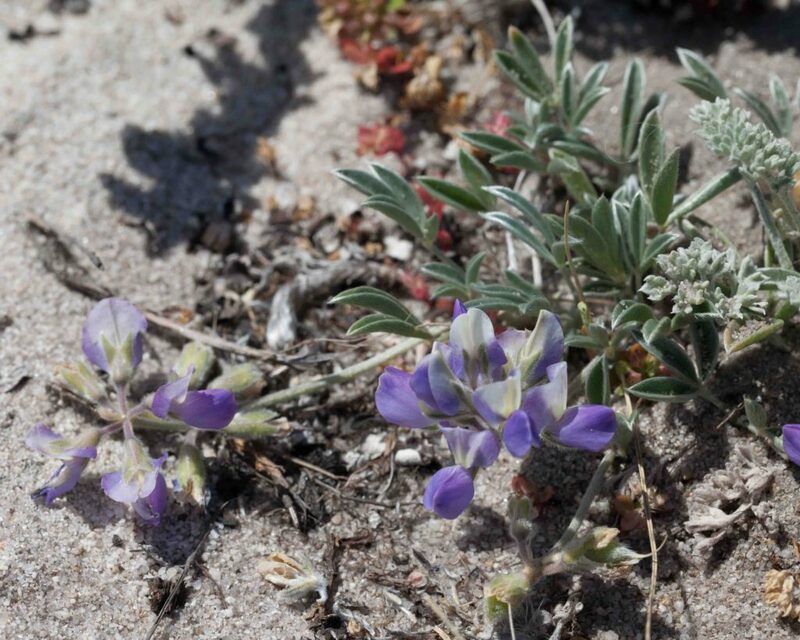 Probably the most commonly found of the Bush Lupines—at least away from the immediate coast. 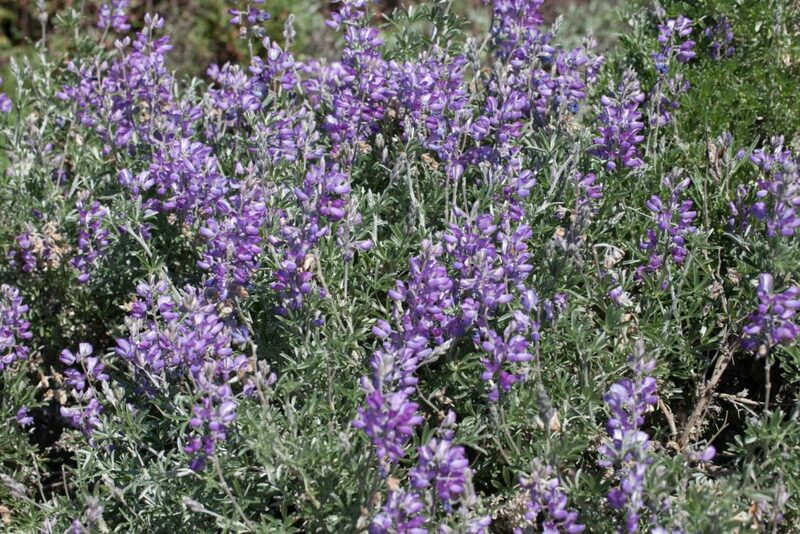 It is a large shrub with darkish violet to lavender flowers in a cluster up to 30 cm long and leaves with 6–10 silvery, 1–3 cm long leaflets. Leaf stipules are no more than 1 cm long. 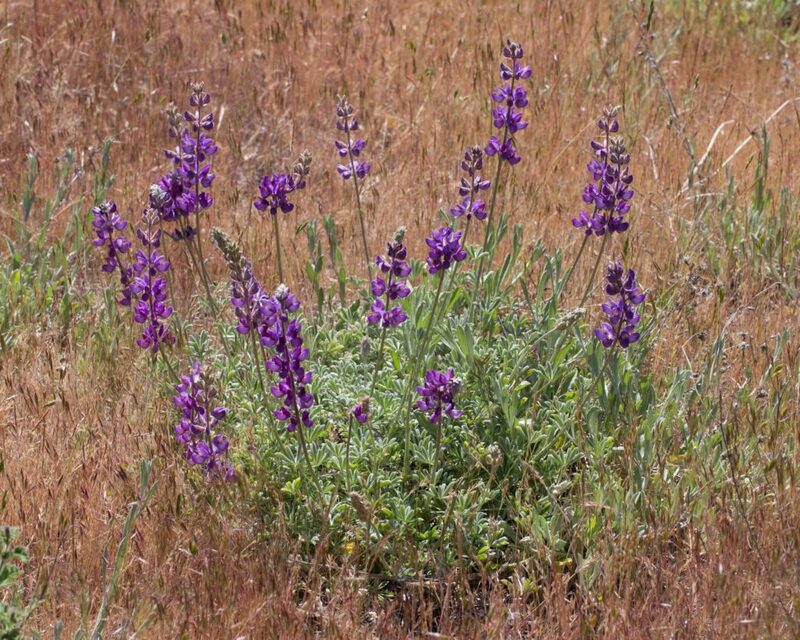 Flowers are generally not or only loosely whorled. 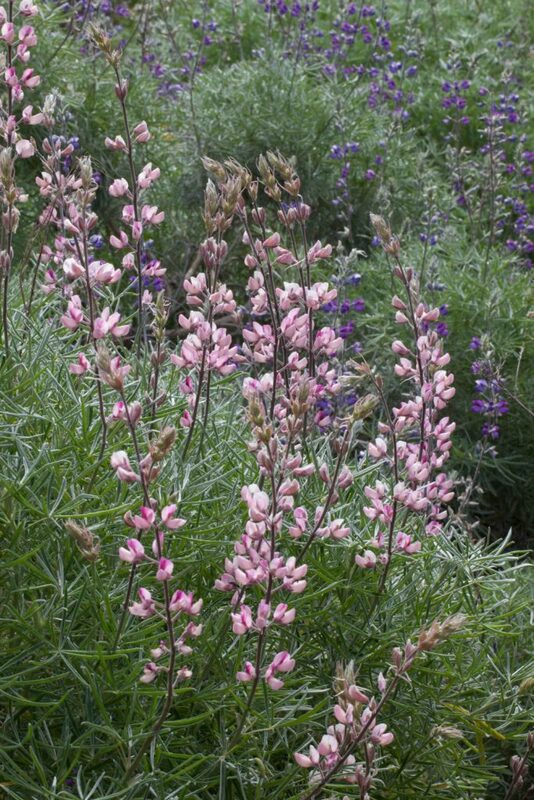 Distinguished from the pinkish-purple flowering form of Tree Lupine (Lupinus arboreus) by the color of its leaves. 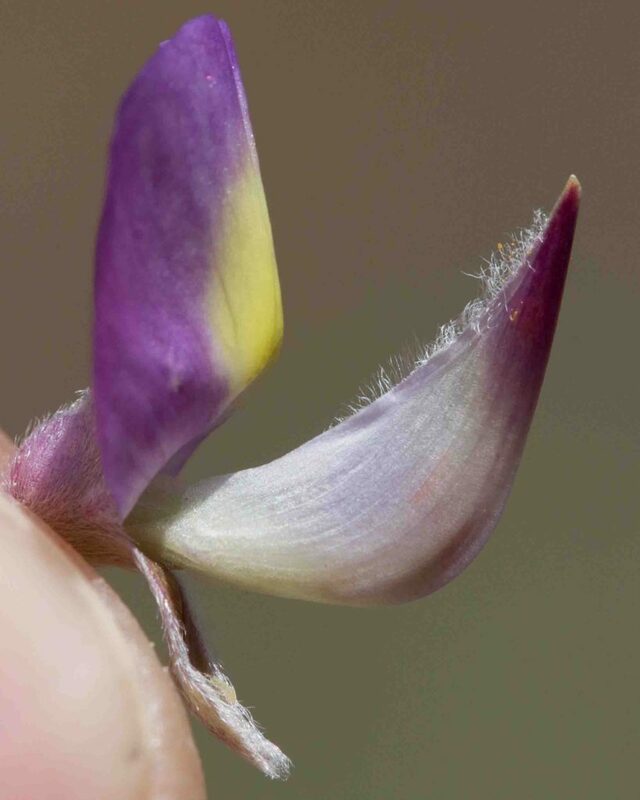 Keels are ciliate on the upper margin from the middle to the tip which allows it to be distinguished from Summer Lupine (Lupinus formosus), a lower growing species found in similar habitats. 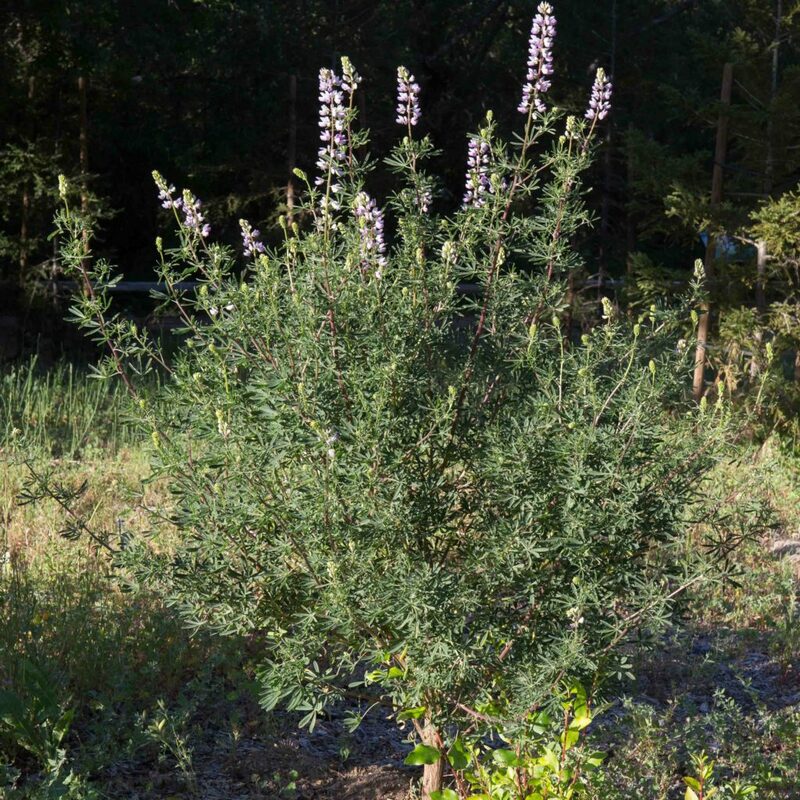 An uncommon shrub with leaves and flowers similar to those of Silver Bush Lupine (var. 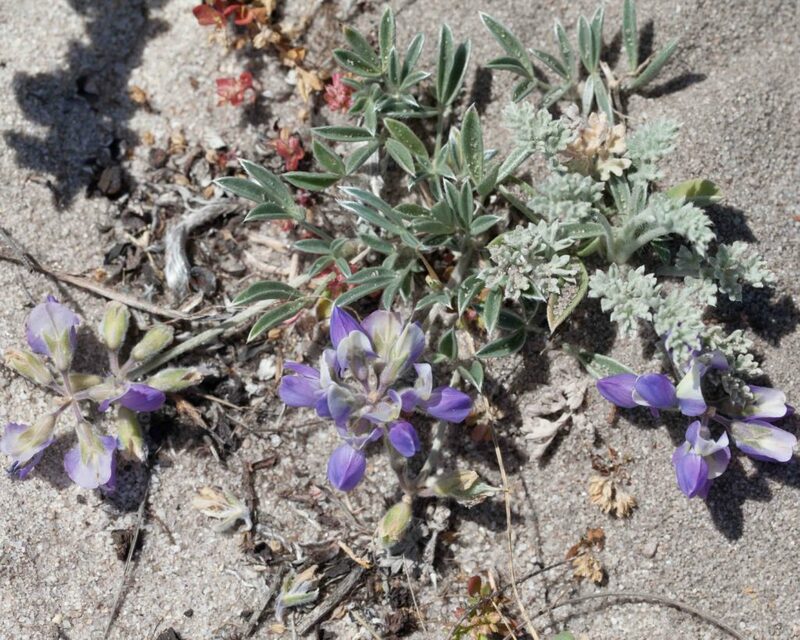 albifrons) but overall much smaller and with prostrate to decumbent stems. 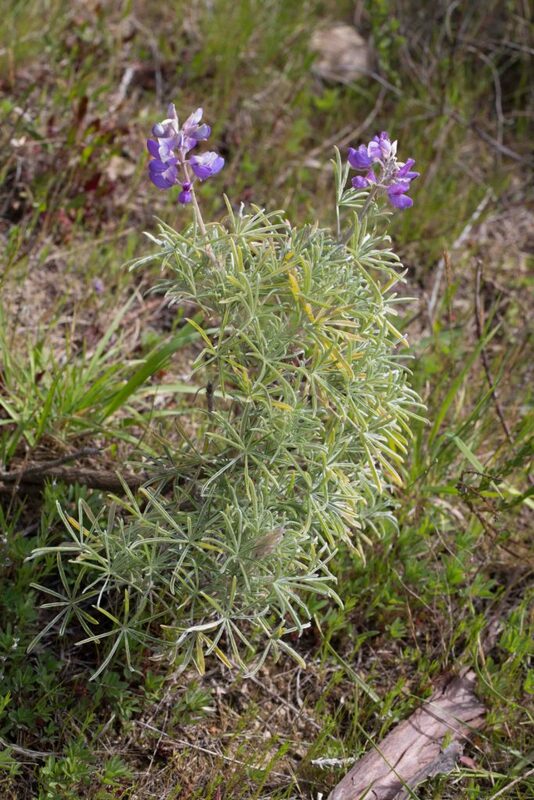 There are 6–9 silvery leaflets, 1–3 cm long with appressed hairs. Keels may be ciliate on the upper margin towards the tip. 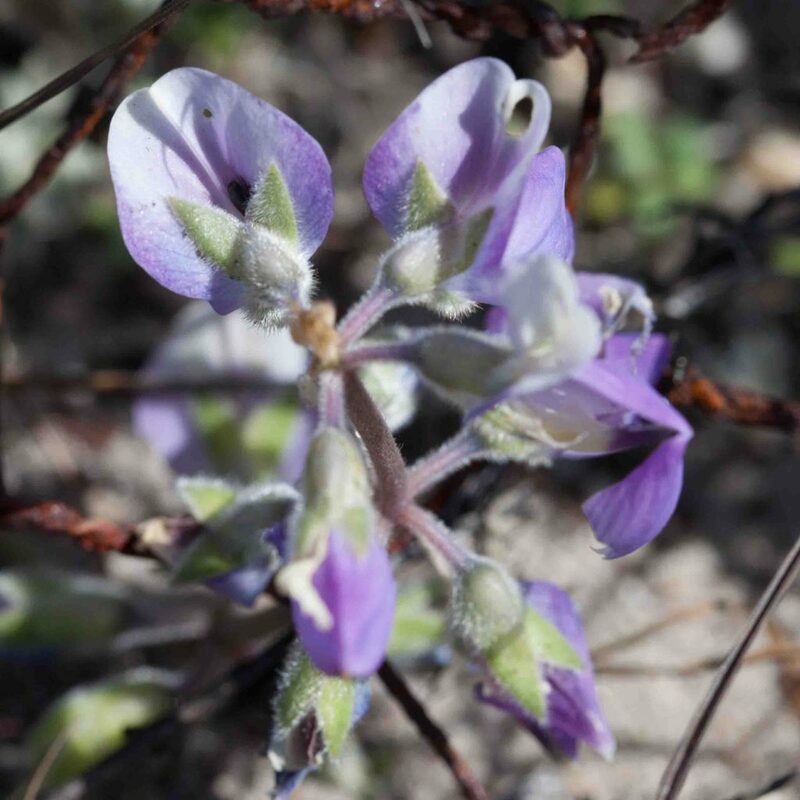 An uncommon shrub found near the coast and easily confused with Silver Bush Lupine (var. albifrons). 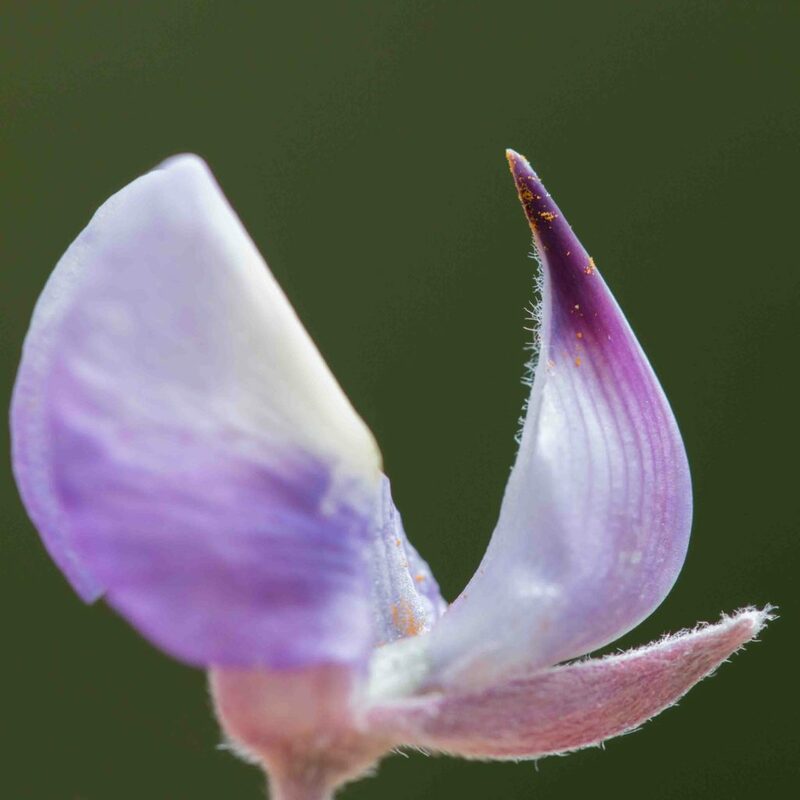 The differences are subtle except for the much shorter flower clusters which are 10–15 cm long. 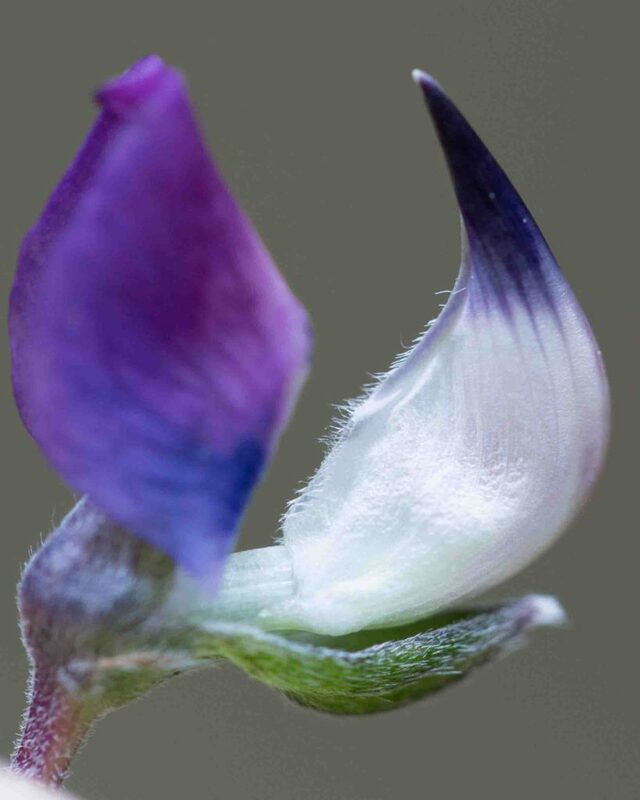 Other differences are that the leaves are consistently silver-silky (vs. green to silvery), leaf stipules are 1–2 cm (vs < 1 cm), leaflets are 7–9 (vs 6–10) and 25–45 mm in length (vs 10–30 mm) and the bracts subtending the buds are much longer (10–24 mm (vs 4–8 mm)) and exceed than the buds. 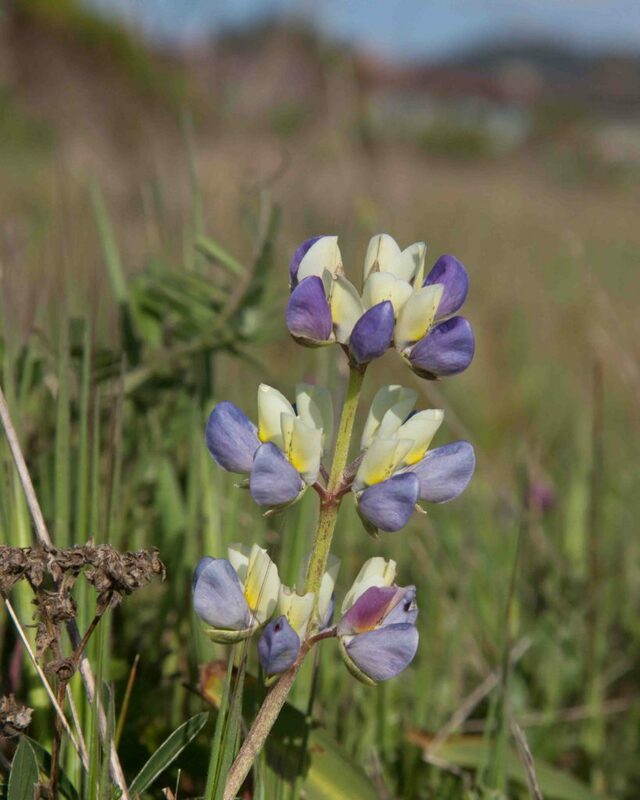 Plants may be found that exhibit characteristics of both species so definitive identifications can be difficult. 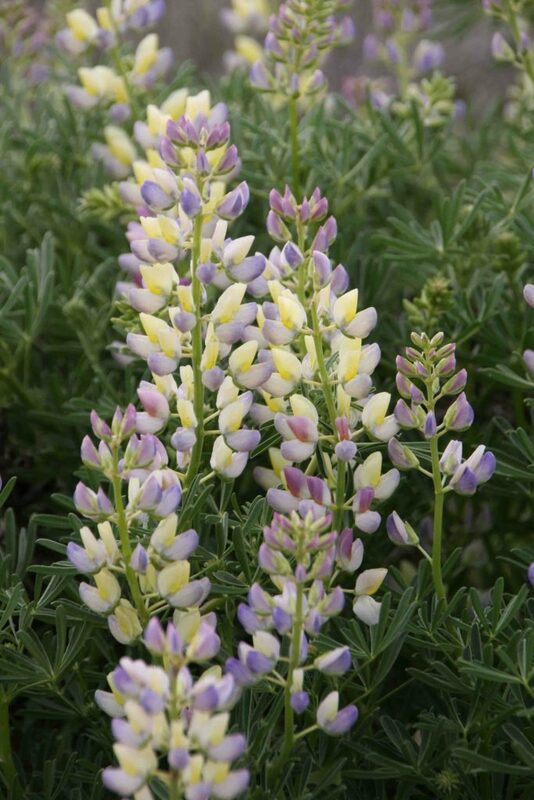 By far the commonest shrub lupine in coastal areas where its flowers are most often bright yellow but can also be lilac blue, pink or even white, often in combination. 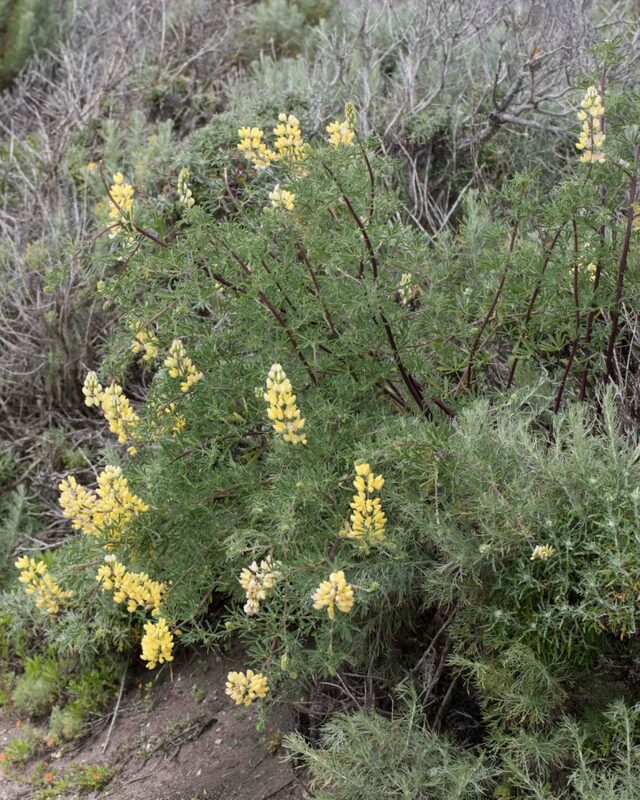 Plants found away from the immediate coast generally do not have the yellow flowers so common in coastal plants. 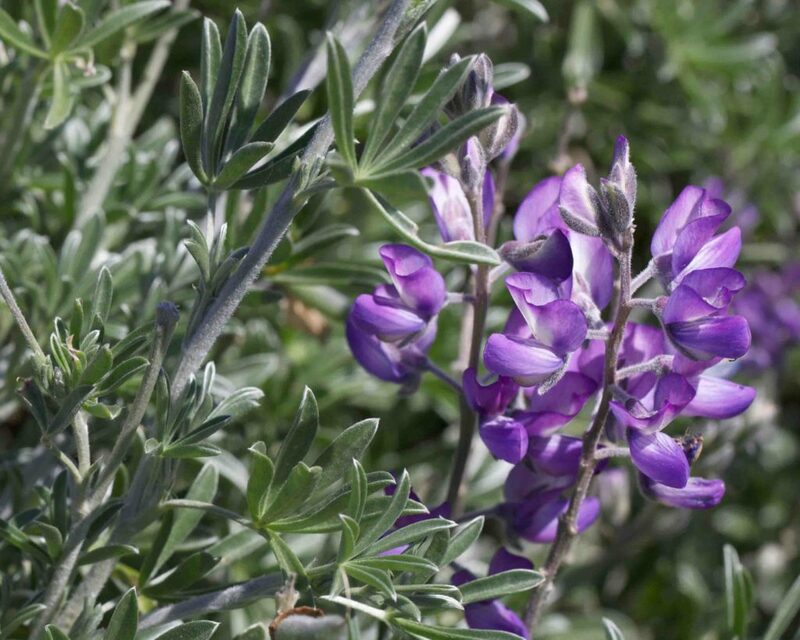 In its lilac-blue to pink form, it could be mistaken for Silver Bush Lupine (var. 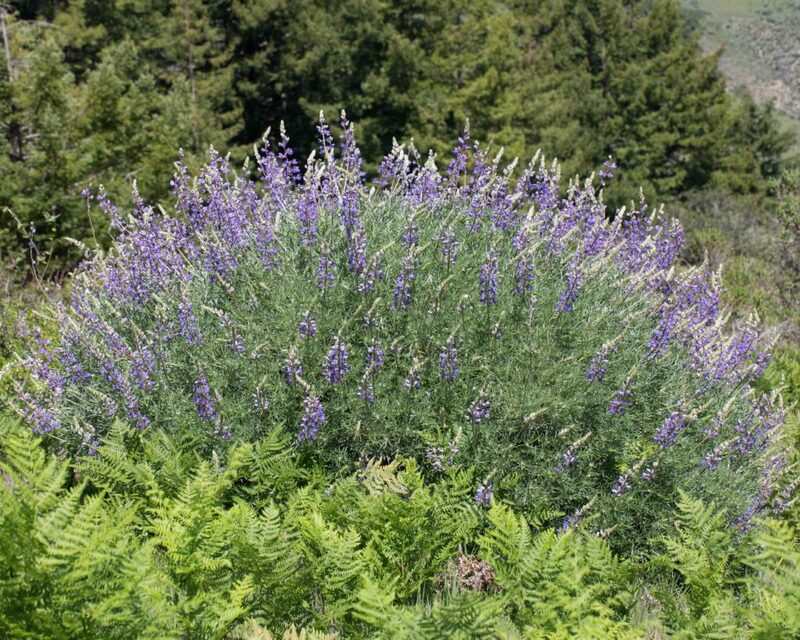 albifrons) except for its consistently green rather than silvery leaves. 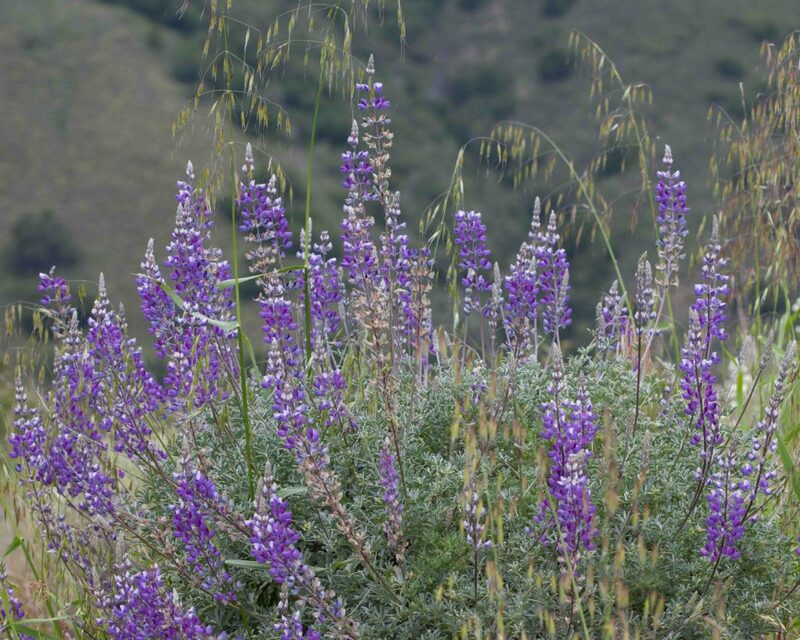 Flowers may be but are not necessarily whorled. Keels are ciliate along the entire upper margin. 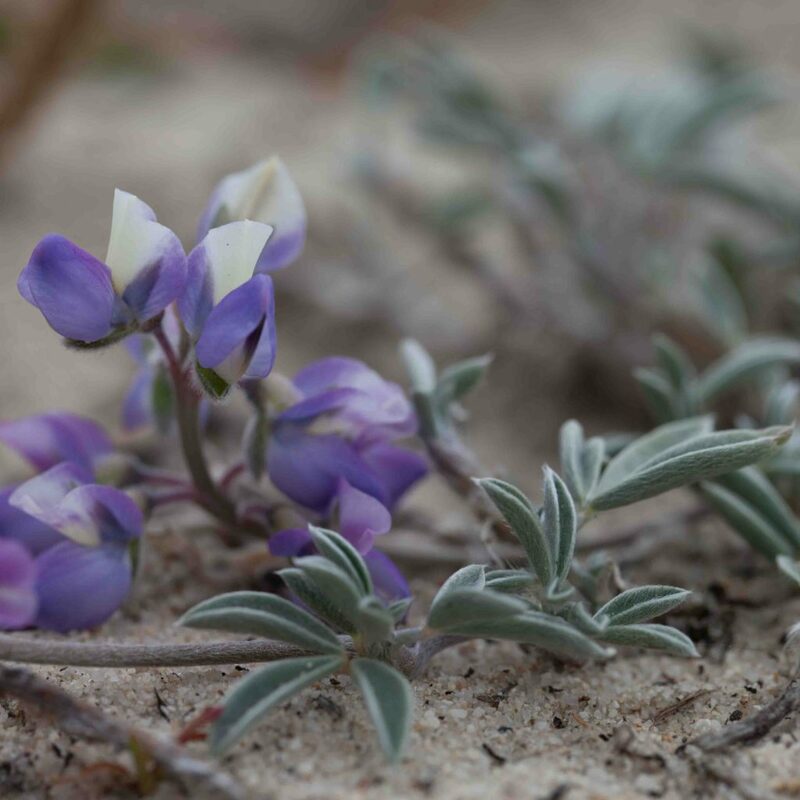 A common silvery-leaved shrub lupine found on coastal sand dunes. 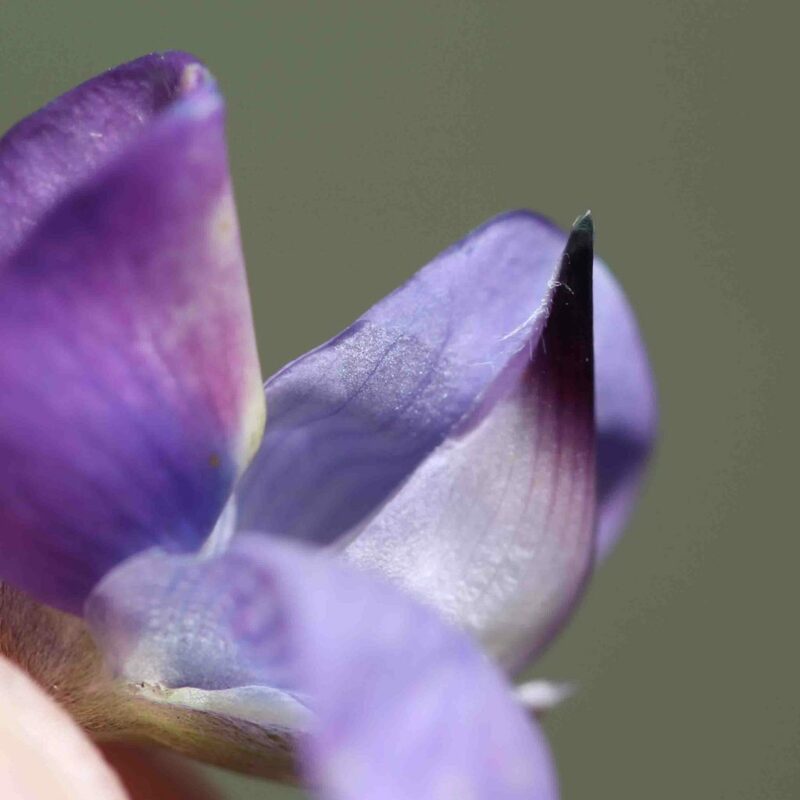 Flowers are blue to pale violet. Leaves are covered in densely appressed, silky hairs with 5–9 leaflets. Keels are glabrous along the upper margin but may have a few hairs on the lower. 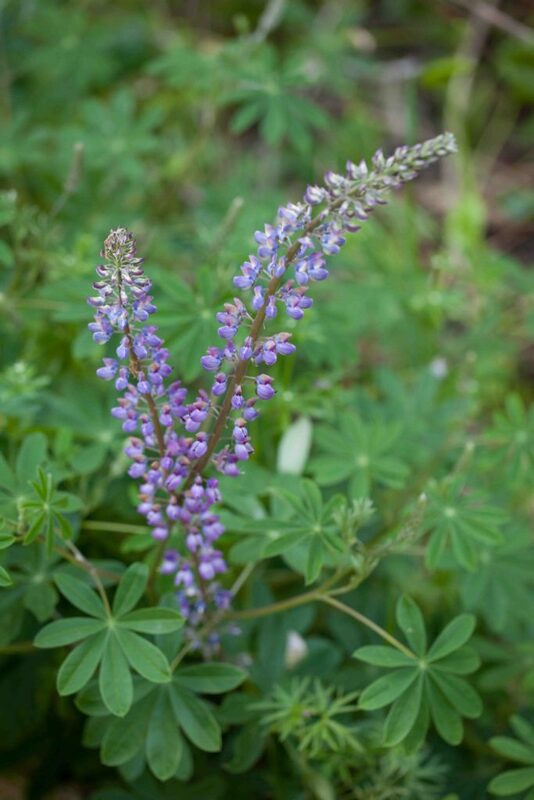 As the common name suggests, this flowers later in the year than most other lupines. 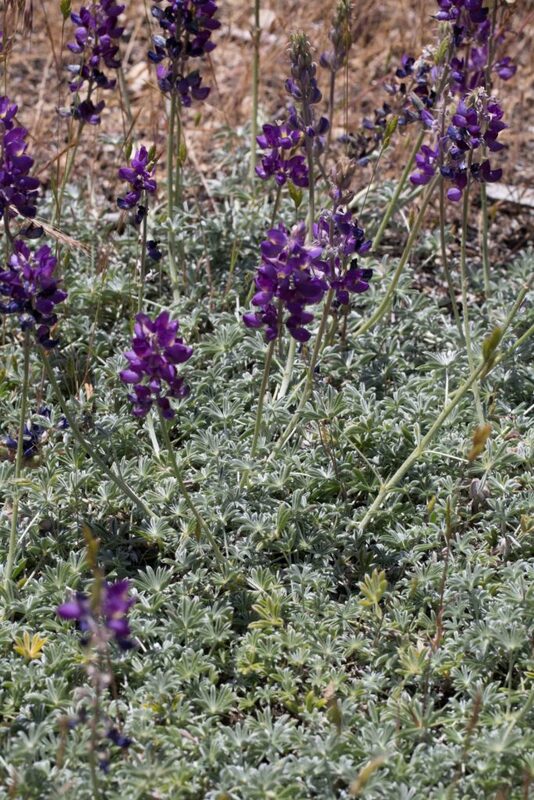 It has greenish-gray to silvery leaves and purple flowers, similar to Silver Bush Lupine (Lupinus albifrons var. albifrons) but paler. 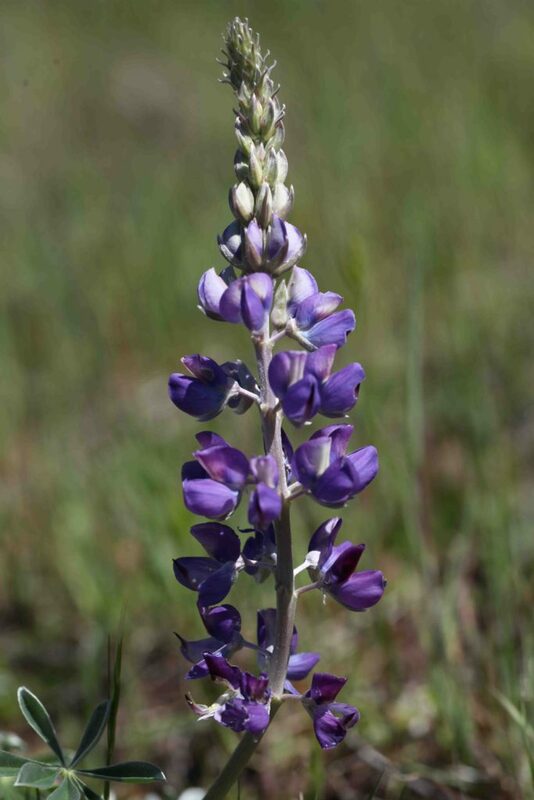 Summer Lupine is much lower growing and not shrubby; more important, its keel is completely glabrous. 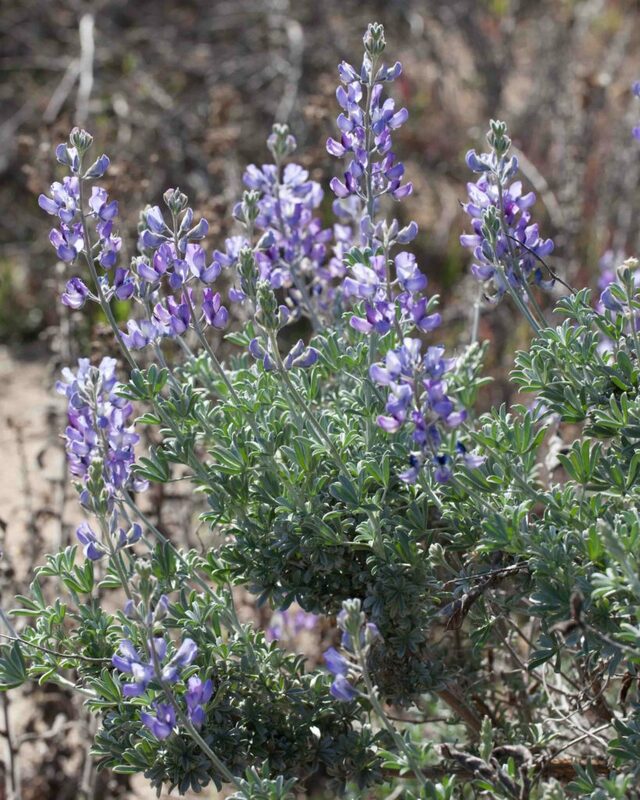 A shade-loving plant, this is most easily recognized by its leaves with their 5–11 broad leaflets, 4–10 cm long. 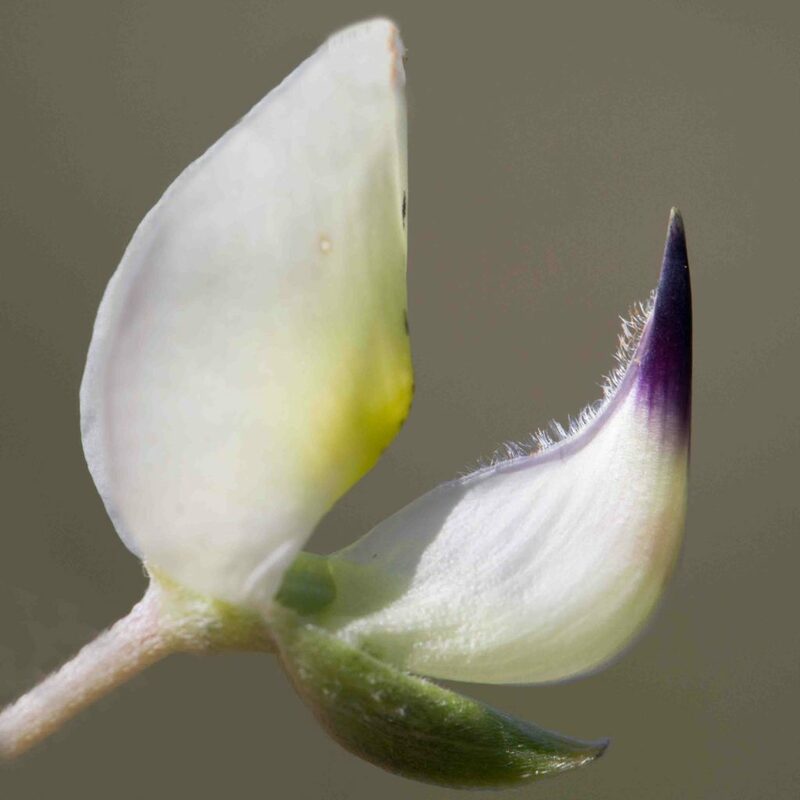 The inflorescence is open (i.e. 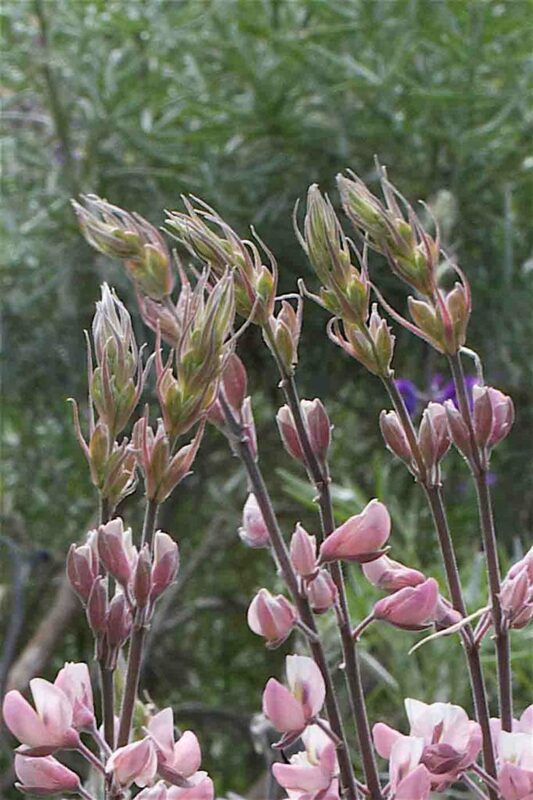 with the flowers clearly separated) and tall (up to 60 cm) with flowers that are sometimes whorled. 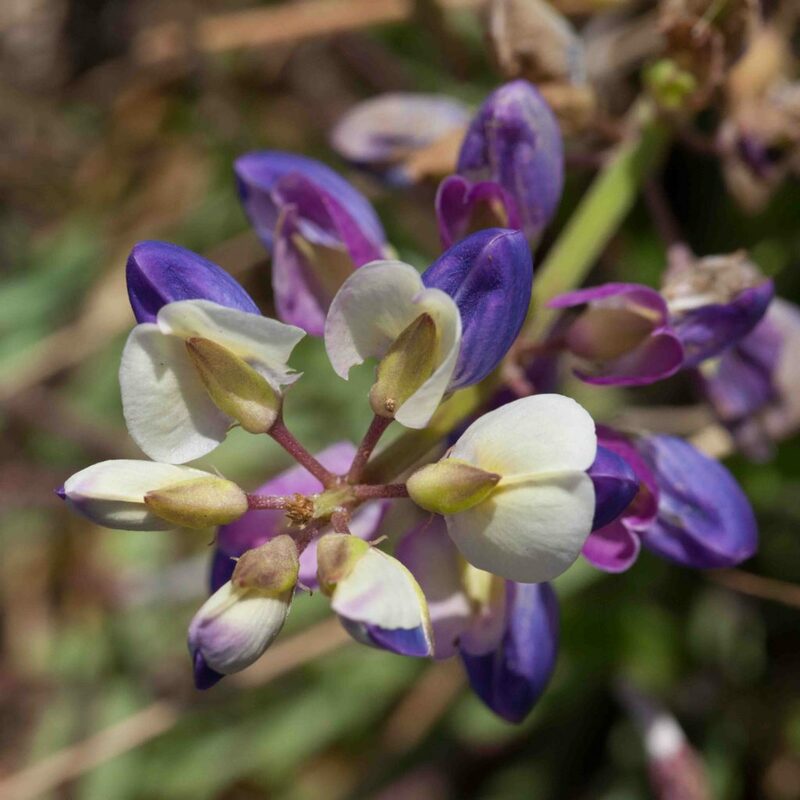 The flower color is variable, typically pale to mid=purple. The keel is ciliate on the upper margin between the middle and the claw and generally (bot not always) ciliate on the lower margin. 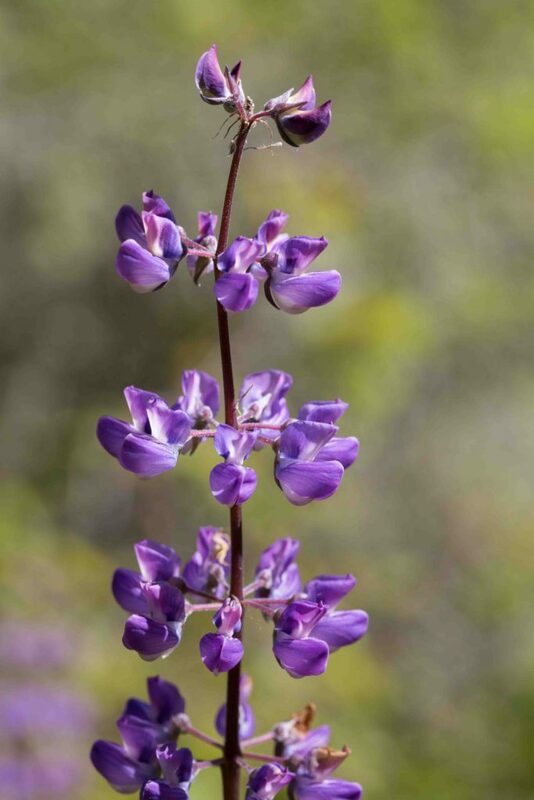 The larger size of the leaflets and the open inflorescence are the clearest way to distinguish this from Arroyo Lupine (Lupinus succulentus). Extremely rare. 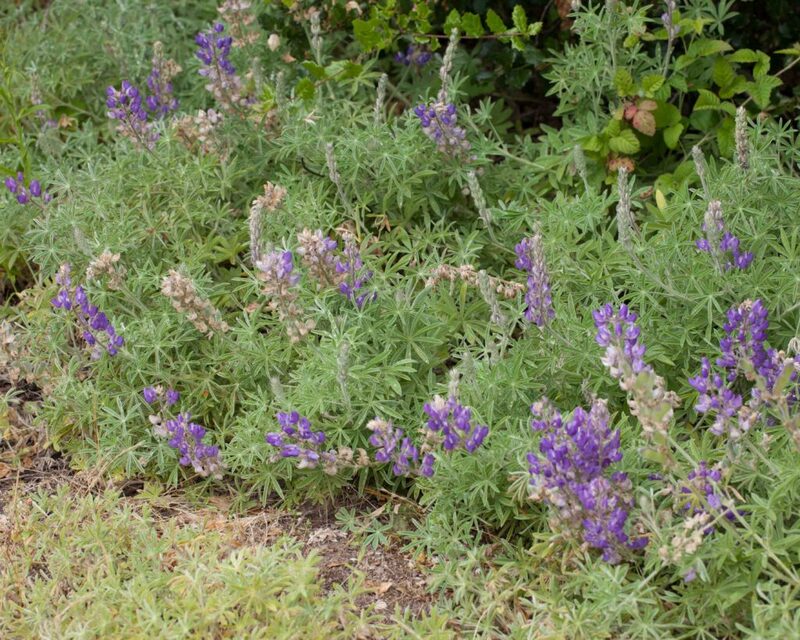 This is more or less prostrate and white-shaggy-hairy with weak stems. 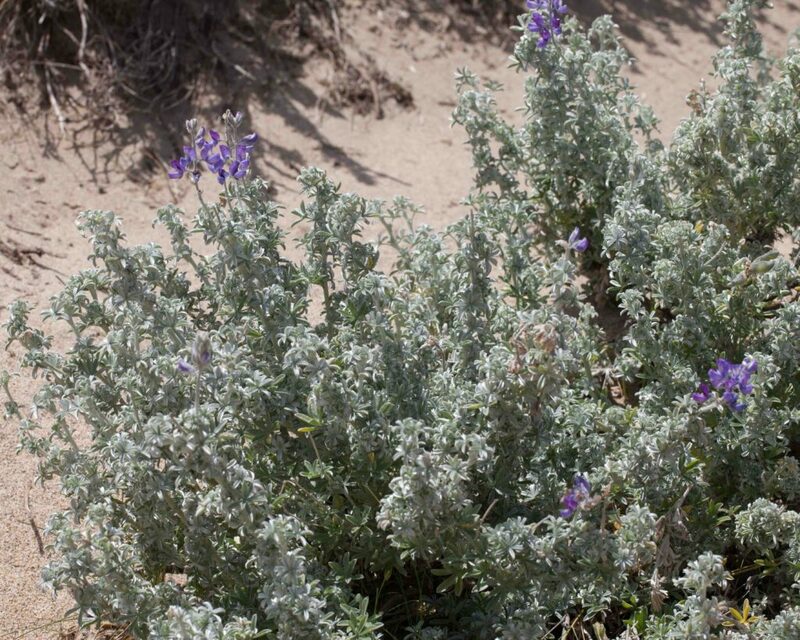 It has silvery-gray leaves with 3–5 oblanceolate leaflets. 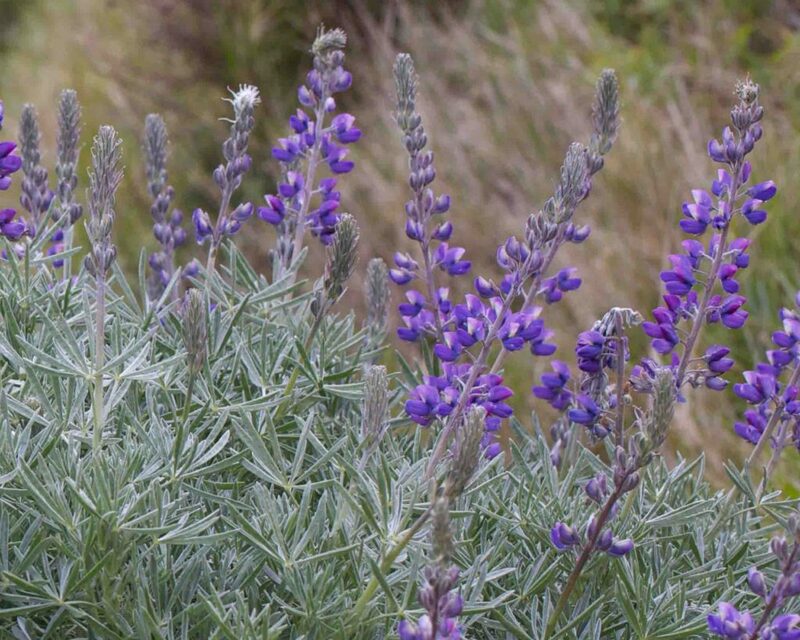 Flowers are light blue to lavender with a white banner spot. The entire upper margin of the keel is ciliate. 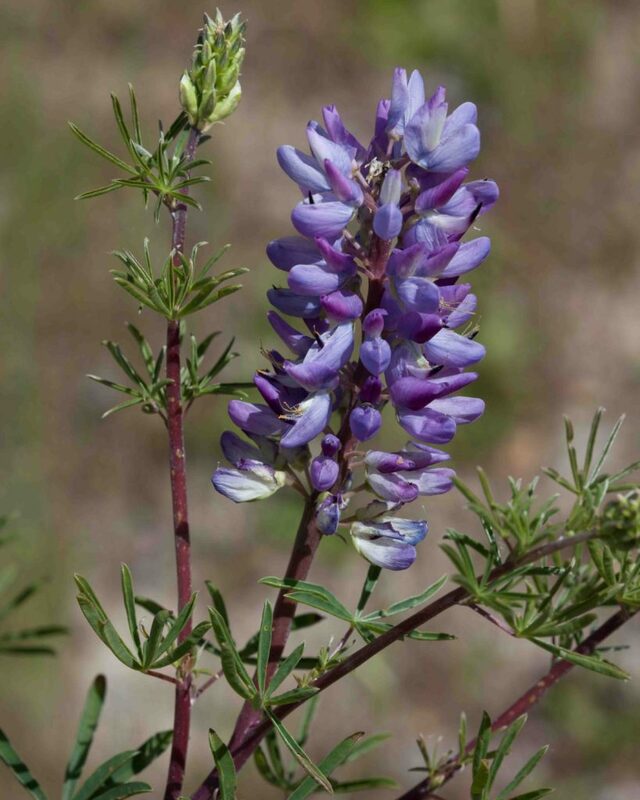 Without the flowers, it could be confused with a small Lindley’s Varied Lupine (Lupinus variicolor) but this has dense-appressed or spreading silvery hairs, a glabrous back to its banner, and, more important, leaves with 7–9 leaflets. 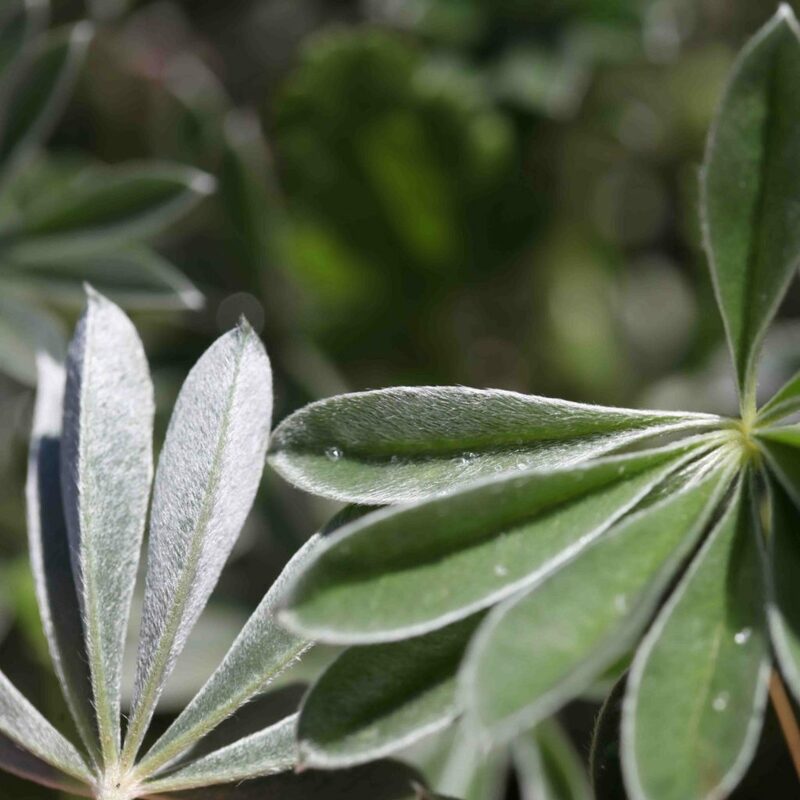 Another lupine with silvery leaves, the dense hairs appressed to spreading. There are 7–9 leaflets. 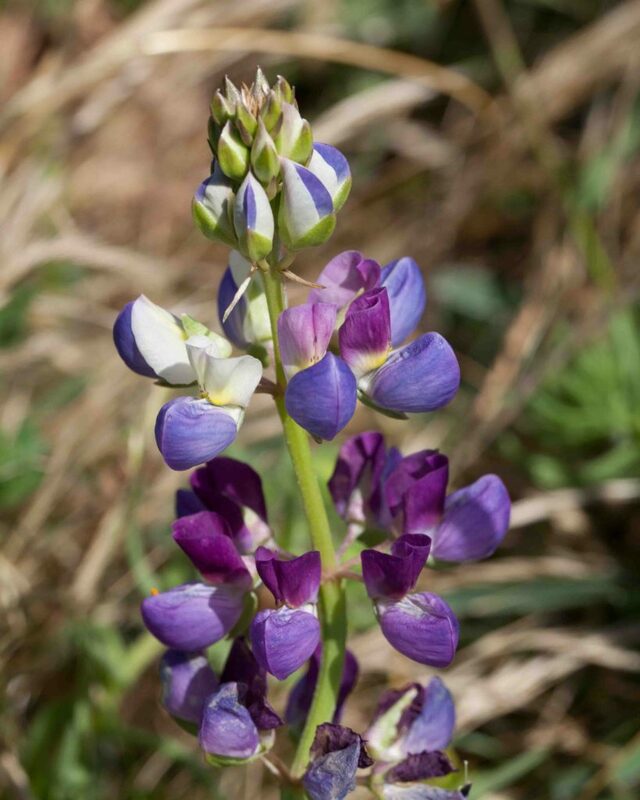 The flowers are distinctive, variable in color with with, yellow, rose or purple, often on a single plant. The back of the banner is glabrous. The keel is ciliate along the entire upper margin.